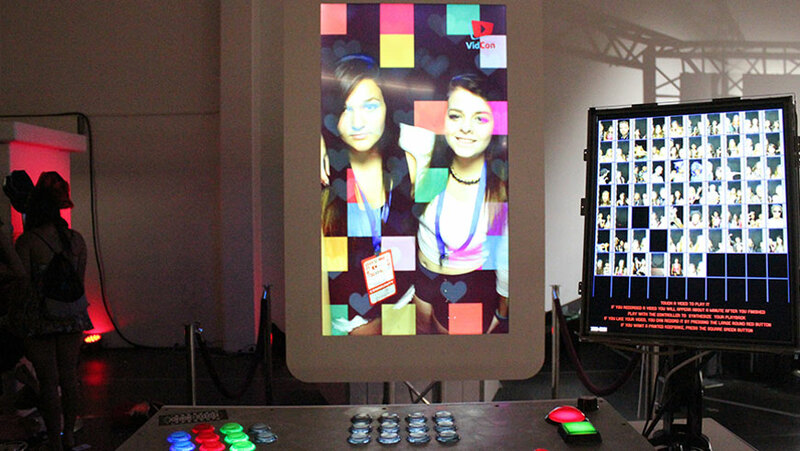 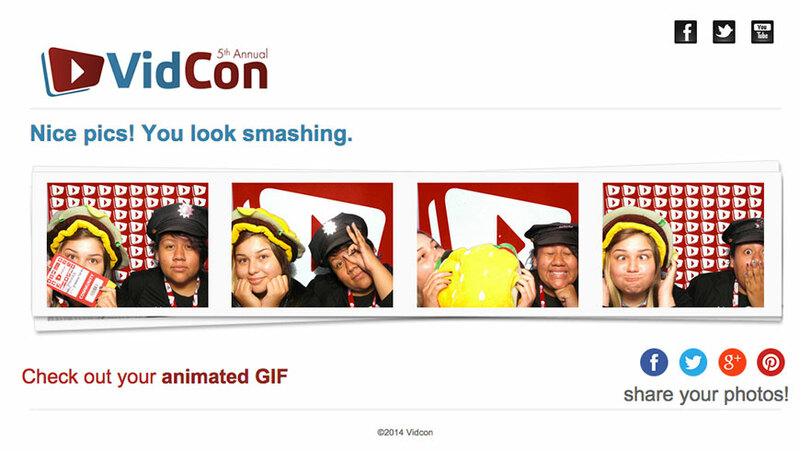 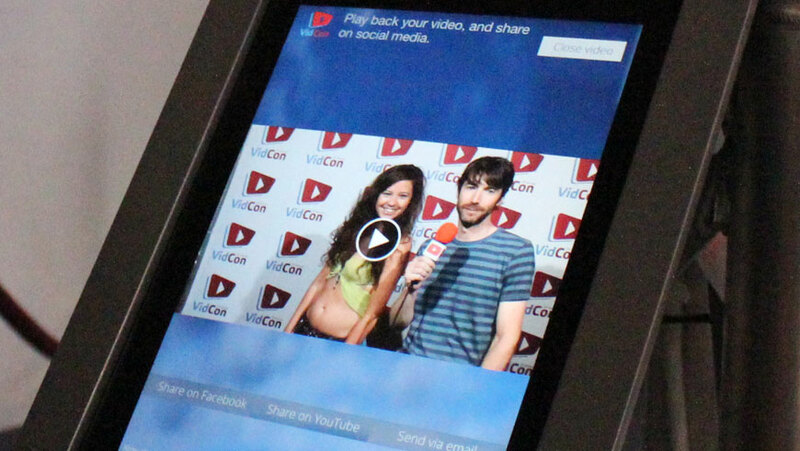 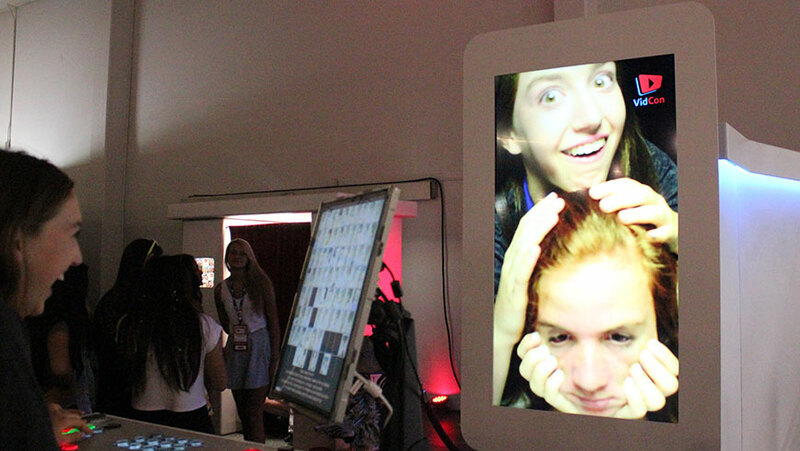 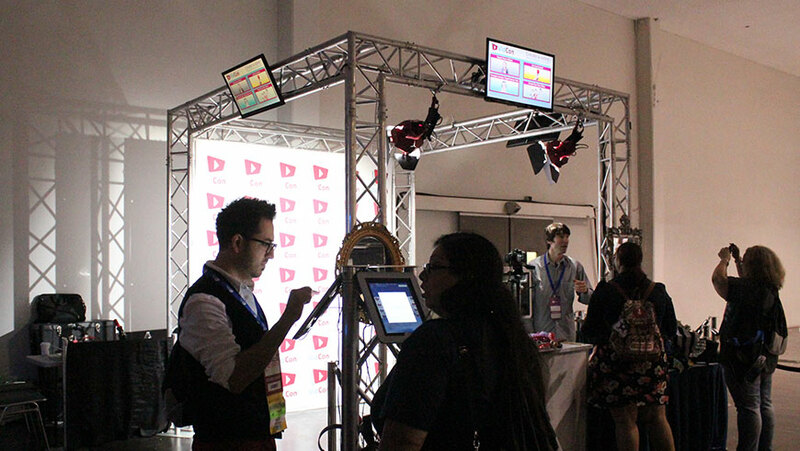 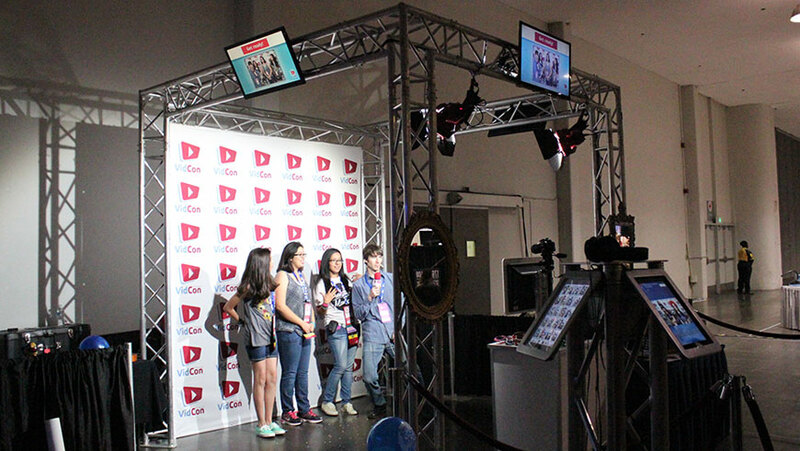 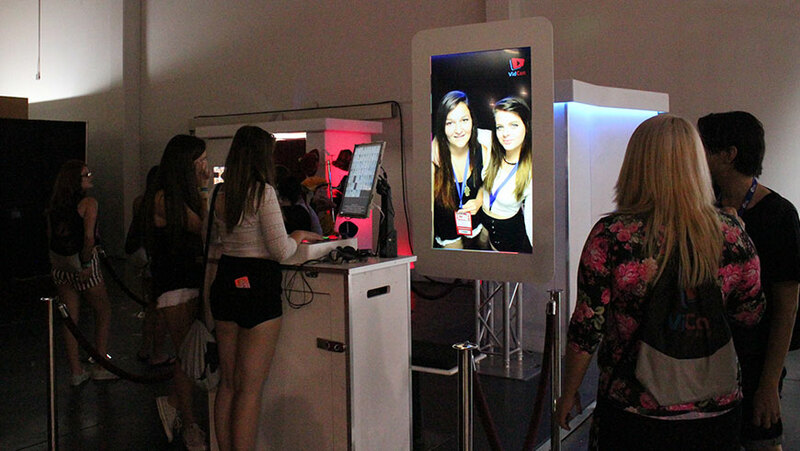 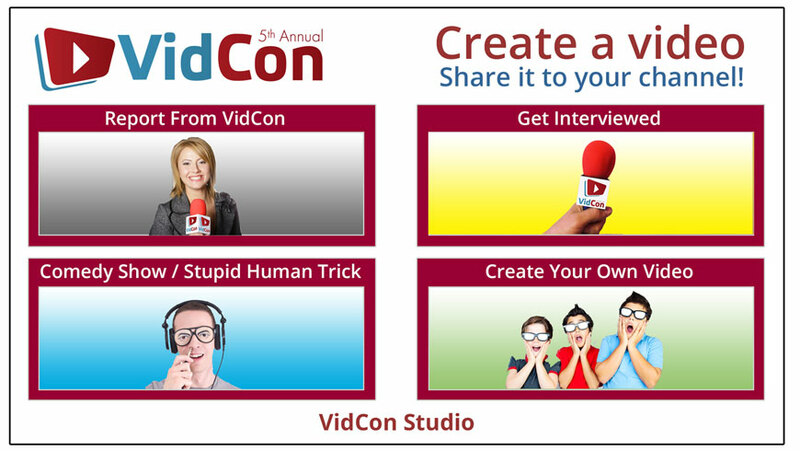 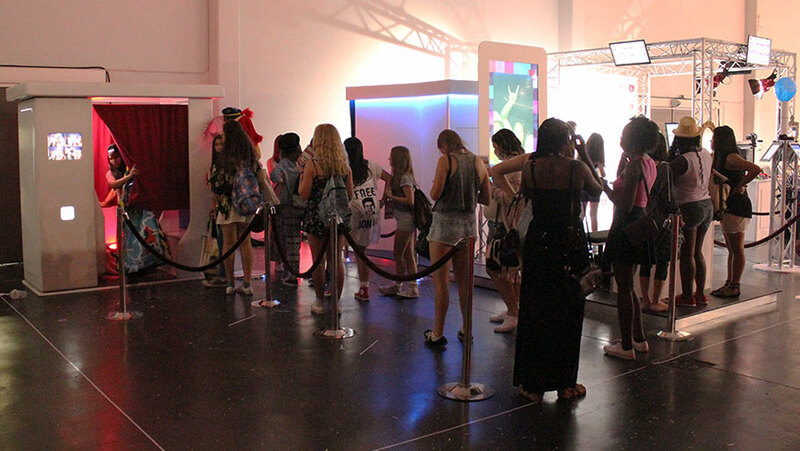 The online video conference Vidcon commissioned us to create five interactive installations for the Live From Vidcon area at the 2014 convention. 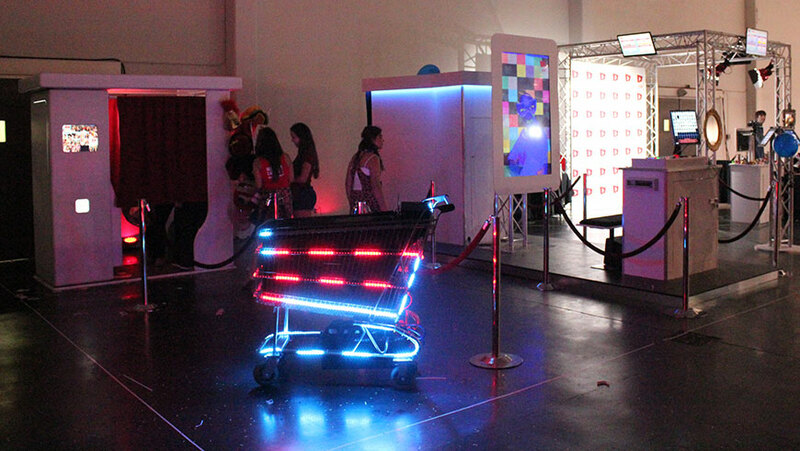 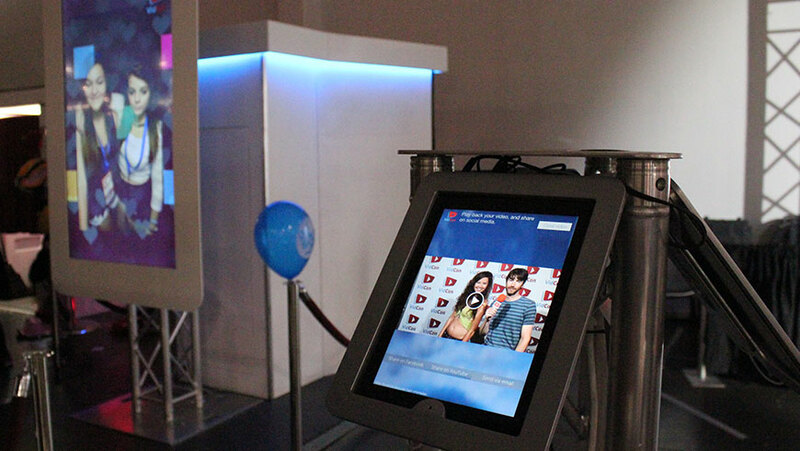 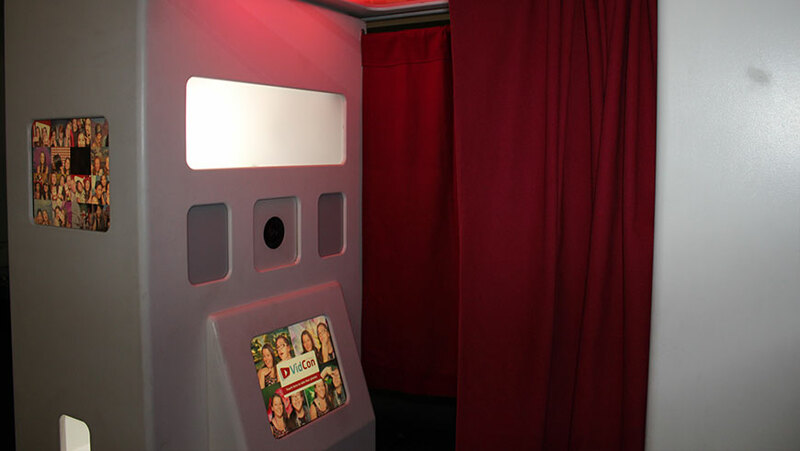 We created two interactive video projects, a video viewing and sharing area powered by our custom IOS application, a custom photo booth with companion web sharing site, and a mobile sound system built on a shopping cart for roaming entertainment. 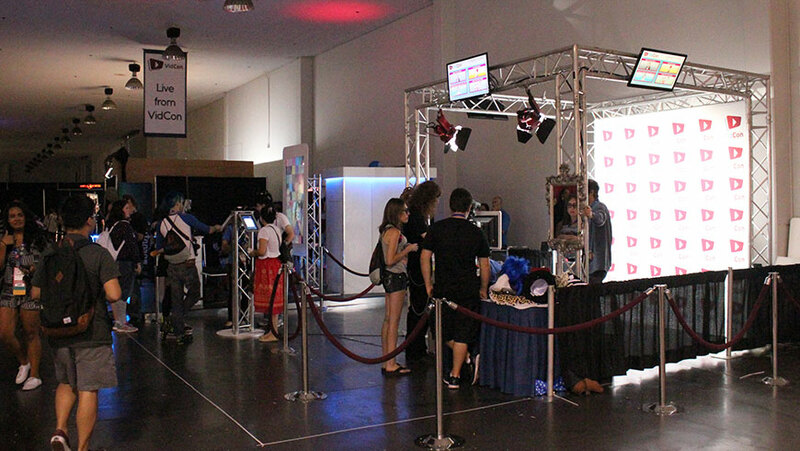 Our projects were enjoyed and shared by thousands of people over the three convention days.